I'm sure it's been a busy morning for the people at blogger. My posts from Wednesday are missing but I've read that they should be back shortly. In case haven't heard blogger has been down for almost a day! Liz of Say Yes! to Hoboken, though belated, to Grosgrain. I found Liz's blog through her sister-in laws' blogs. They all have the same impecable taste and style. fresh and modern. 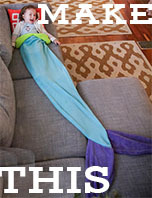 I love going to Liz's blog and getting a heavy breath of good taste. 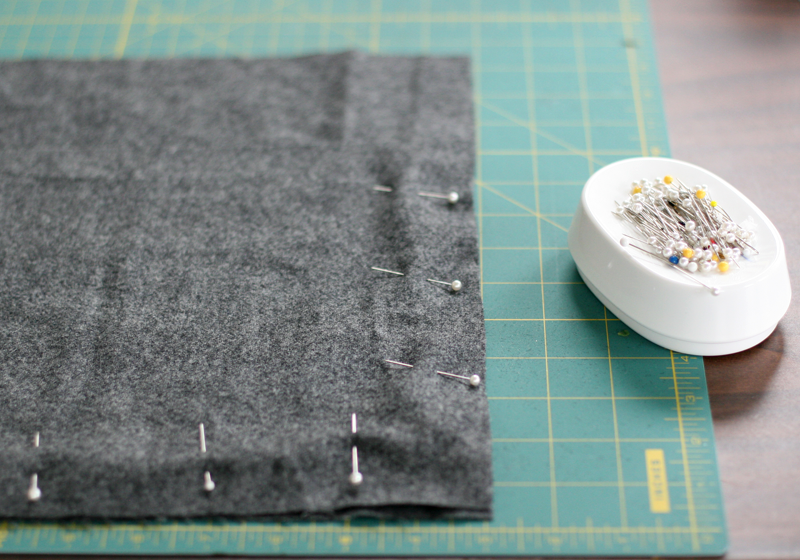 She loves to make skirt variations which are great for beginner sewers while still looking chic. 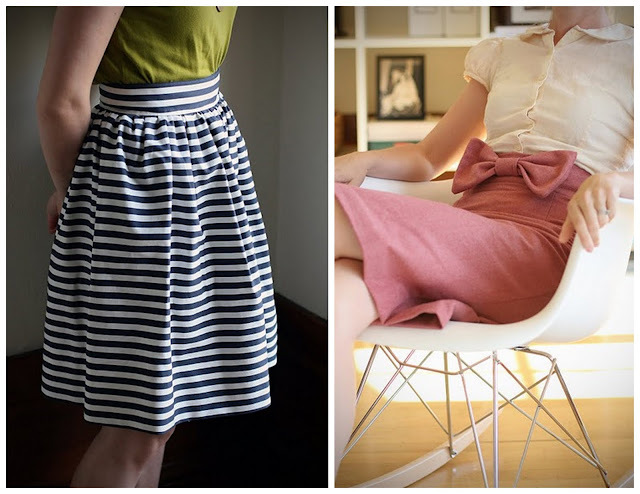 See the Striped Gathered skirt and the Big Bow Pencil Skirt above. Liz was born and raised in New York. 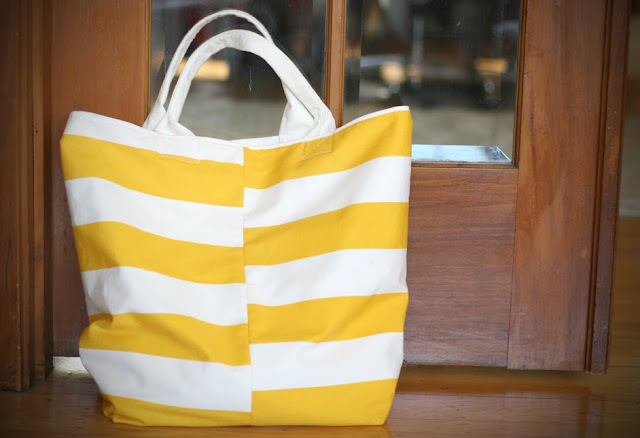 Her blog came out of her first few newlywed years in charming Hoboken, NJ back in 2006. She currently lives in what she calls the 'fairytale city' of San Francisco with her husband and son Henry. 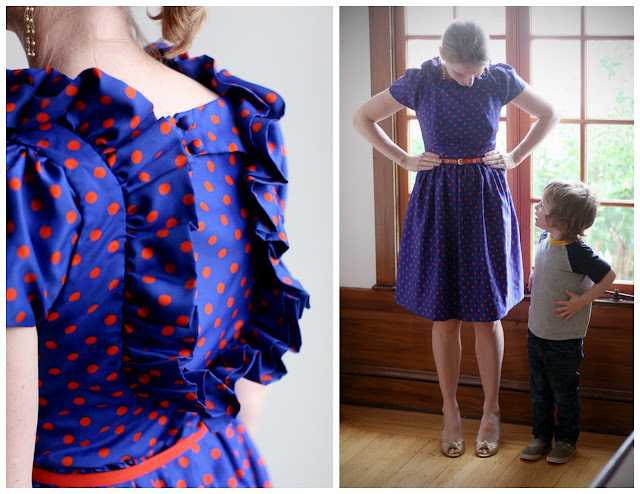 See her adorable Vintage Polka Dot Refashion Dress above. 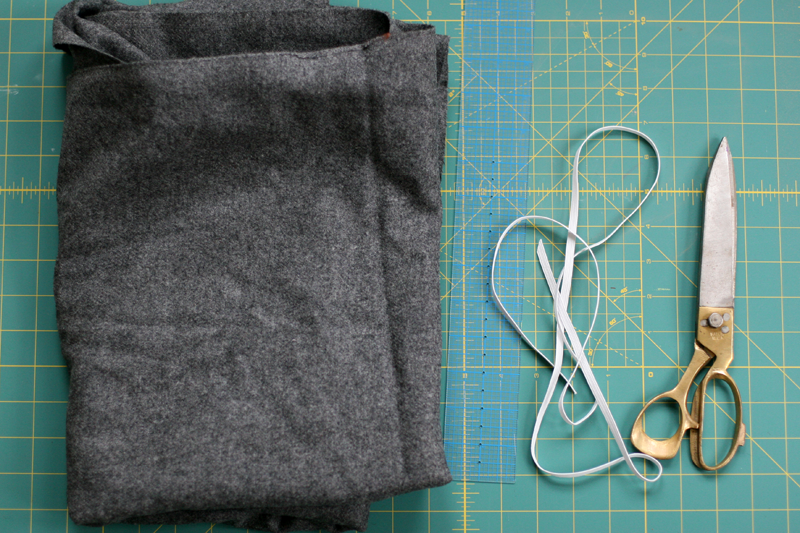 She writes about her life, her daily finds and her experiments in crafting. She has been trying to wear less jeans and tees. 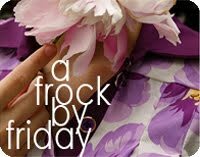 See her inspirational series about how she and her sisters dress. 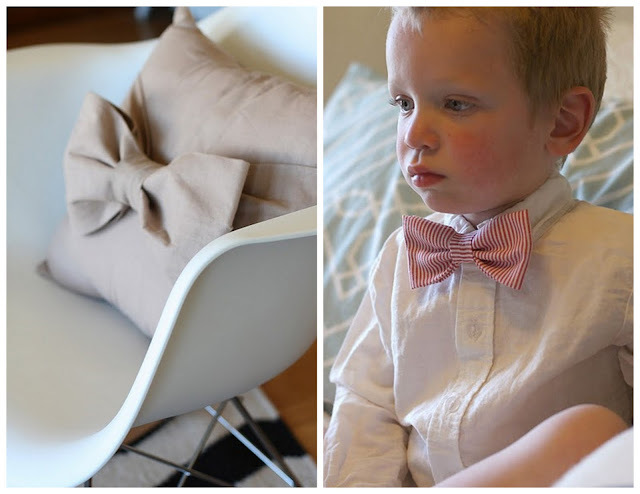 Toddler Bowtie and Big Bow Pillow tutorials above. 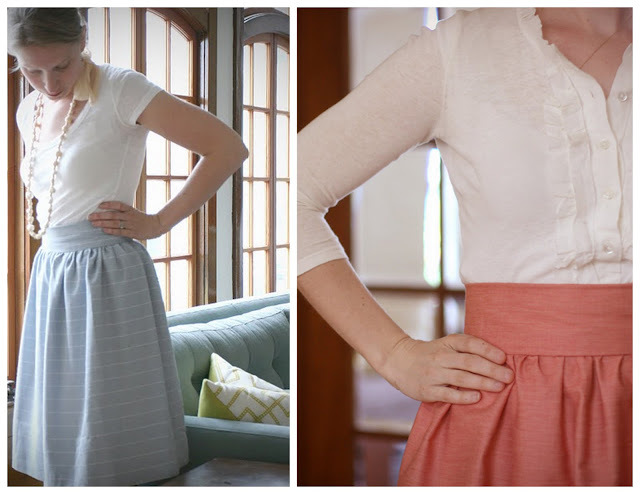 More adorable skirt love! Left and right! 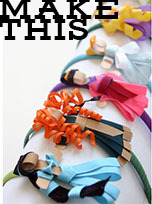 And because Liz is so stylish she also writes for Babble and Momtastic! 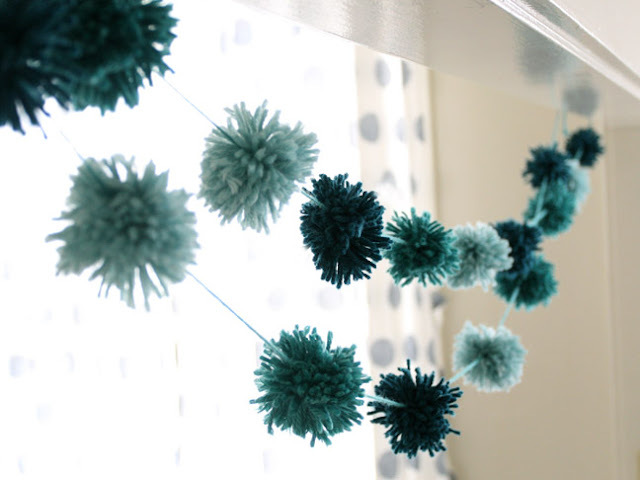 See PomPom Garland tutorial. Thank you Liz for being a part of Free Pattern Month! It's been a wonderful treat to feature you! 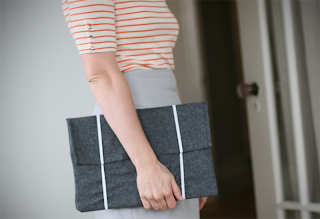 Super simple laptop sleeve, perfect for laptops, iPads and a great Father's Day gift. I came up with this late one night when I was packing for a trip and realized I didn't have a sleeve to put my new laptop in! 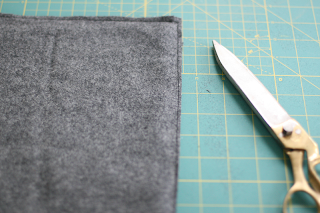 I needed to whip up something really fast, and was surprised with the sleek result despite the super easy process. The sleeve protects the computer so you can stick it in your purse, bag, luggage when you're on the go. 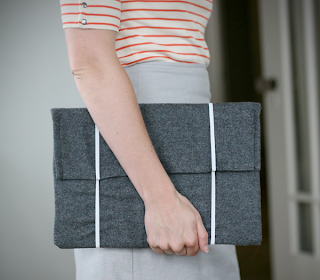 It's a great beginning sewing project, and a fabulous gift for anyone with a laptop or iPad. Remember, Father's Day is coming up next month! 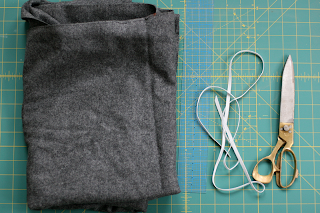 You'll need some wool (I love the look of it, but you can use another type of fabric if you'd like), elastic, scissors, ruler and a sewing machine. 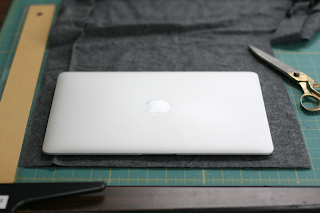 Place your laptop on the fabric and measure about an inch around the sides and bottom. 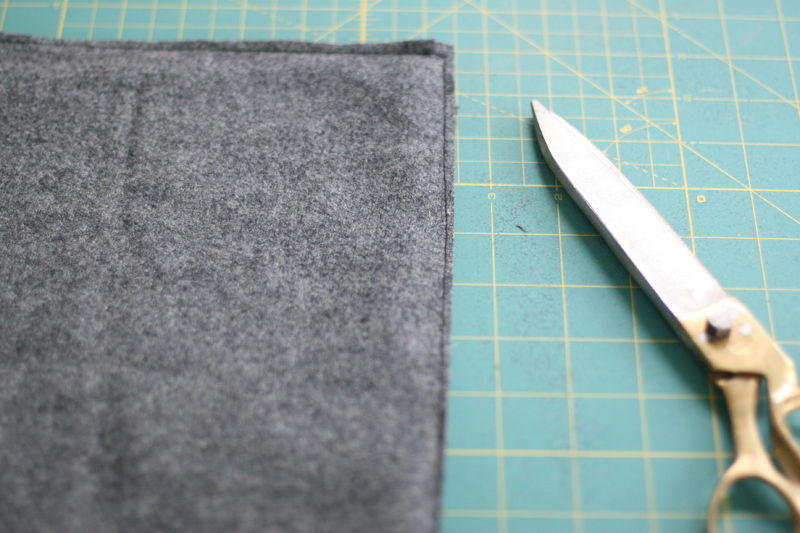 If you're making one for someone else, try to find out the dimensions of their device and add another inch on each side as well. Cut two pieces. 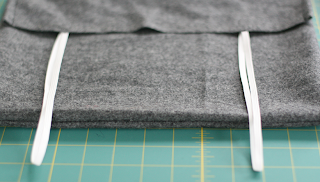 One will be the measurements of the device, plus an inch on each side; and the second piece will be exactly the same as the first, only 4 inches taller on top so it can fold over the top. 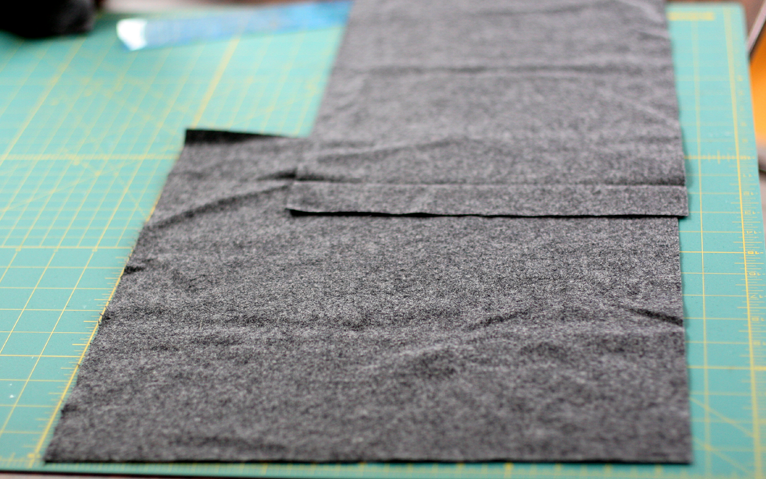 Place the two pieces right sides together, matching exactly the sides and bottom. Pin. Sew along the sides and bottom and trim neatly. The top will be left open. You'll see that the top look funny. 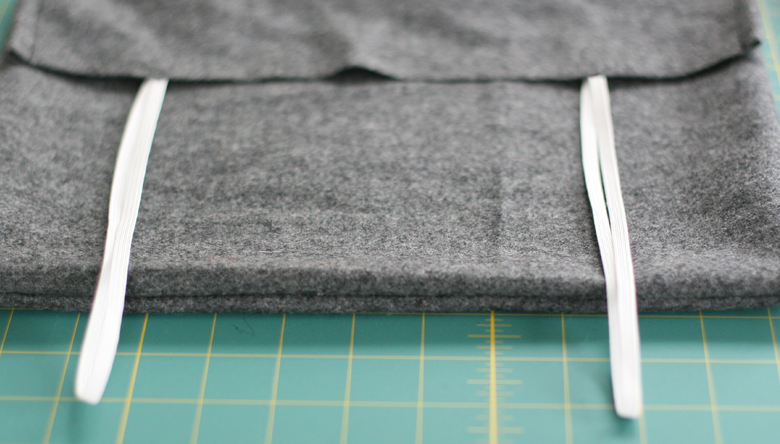 Fold down both the right and left sides of the top section that's open and sew them down to line up with the other hem you've just sewn. 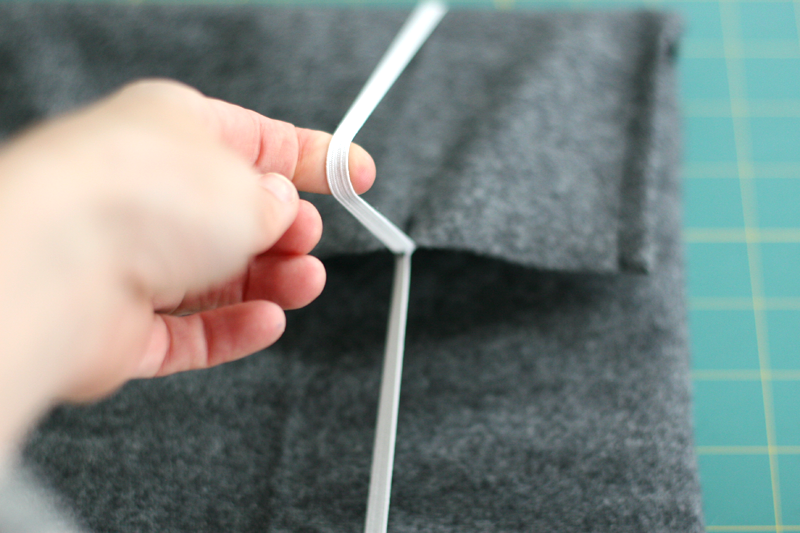 Now turn it right side out and we'll be adding the elastic. To measure the length of the elastic, fold a piece in half and place it 2 inches in from the side and one inch underneath the flap when folded down. 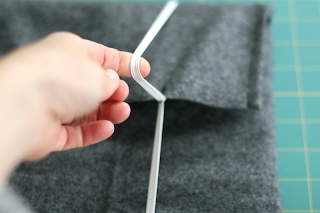 Lay the elastic loop down, it should fall about 2 1/2 inches below the edge of the fabric. 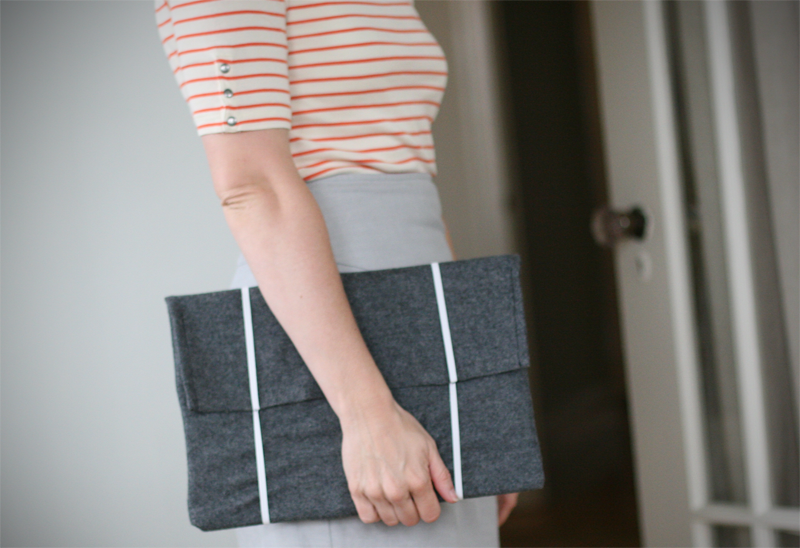 Enjoy your new laptop sleeve! Thank you Liz for participating in this month! I'm so thrilled to have had you as today's guest! 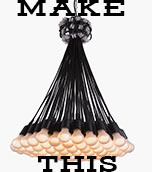 Stay tuned Monday for Dana of Made. This is great! I need something like this! i n s p i r a t i o n.
I just finished making this here and it was as simple as the instructions make out. I made it a bit trickier by adding a liner, plus I'm a complete beginner sewer so it took me a lot longer! 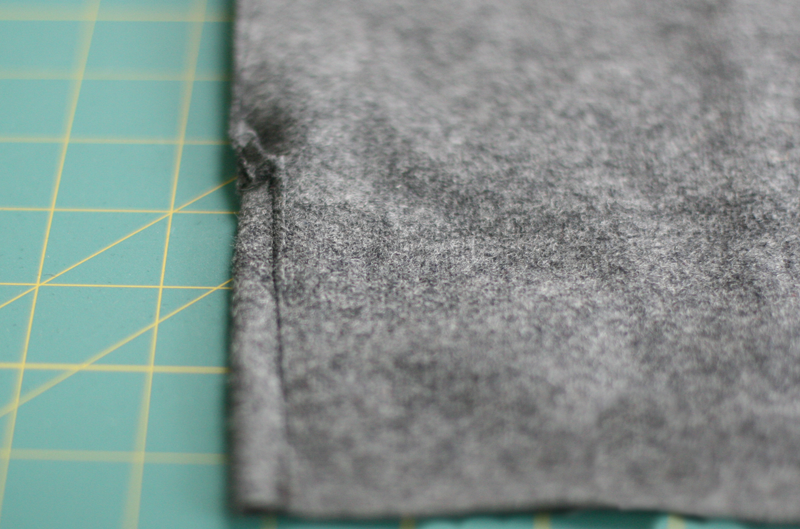 It looks great though, thanks so much for the free pattern tutorial! 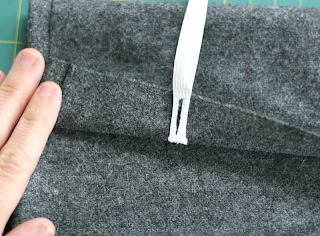 just finished making it and it looks great but just a note for everyone else, make sure you use thick material as calico or other light weight fabrics doesn't really work that well ..